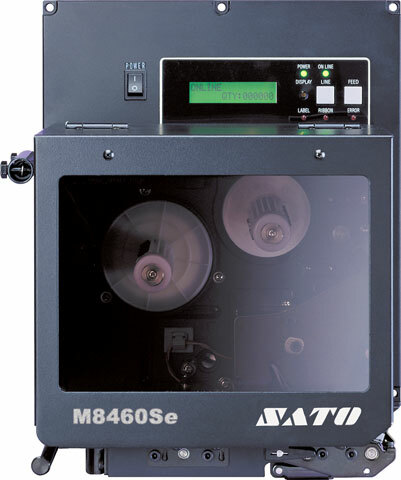 The SATO M-8460Se has been discontinued. No direct replacement is available. For reliable performance over extended periods of time, the M-8460Se was designed as high duty cycle applicator print engine. The M-8460Se Wide Web OEM Print Engine has all the features of the M-8459Se including 203 dpi Resolution, 21 Barcode Symbologies (incl. 2-D), and a New Generation RISC Microprocessor. The M-8460Se features a 6" Wide Print Area and is available in both right and left hand models. 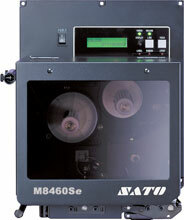 M-8460Se, Wide-web print engine, 203 dpi, Left-hand dispense (opposite), 8 ips, parallel data interface. 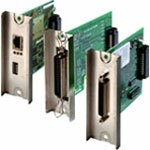 RS-232C High-Speed Serial Plug-In Interface Card (for the E-Series).